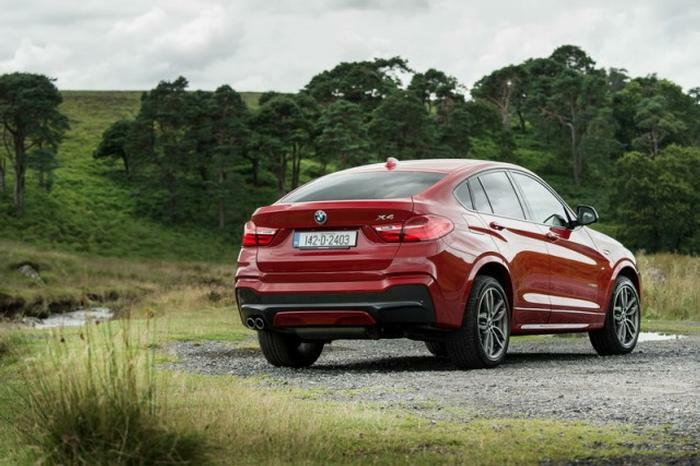 Here's the Carzone.ie guide to buying a used BMW X4. BMW had already invented the contentious coupe-SUV niche in 2008 with its original X6 ‘sports activity coupe’ (in the brand’s own preferred nomenclature), so it seemed only right to follow that hulking original up with another coupe-SUV/SAC in 2014. Enter the X4, based on the second-generation X3 SUV. It promised sportier driving characteristics and rakish looks, without sacrificing too much in the way of practicality. However, it arrived late through the X3 Mk2’s life cycle, so the original X4 was only on sale for four years – an all-new, second-generation model replaced it midway through 2018. Nevertheless, BMW managed to sell more than 200,000 X4 Mk1s globally in such a short space of time, so it’s considered a successful model in the halls of Munich – but not many other manufacturers have copied the formula. There were petrol models elsewhere in the world, but BMW sold the X4 here purely in diesel form. There were two key models – the 2.0-litre, four-cylinder 190hp xDrive20d and the 3.0-litre, six-cylinder 258hp xDrive30d. The latter was available only with an eight-speed Steptronic automatic gearbox, but the former could be had with a six-speed manual. However, the vast majority of used X4s in this country will be automatics. All X4s have xDrive all-wheel drive and trim grades began with SE, then split into a wine-glass structure with the more luxury-oriented xLine in one direction, with the racier M Sport providing the counterpoint. As lovely as the straight-six 30d model is, the 20d is all the X4 you could need. Buy it in M Sport guise and a nice, bright body colour and the BMW coupe-SUV is a surprisingly charming companion. The BMW X4 will definitely not be to all tastes, as some people find the very idea of trying to blend a low, lithe coupe with an upright, chunky SUV abhorrent. However, of the few examples of the breed in this proto-class of cars, the X4 Mk1 is probably one of the better-looking machines and it is also blessed with a superb chassis plus a choice of good, strong diesel drivetrains. Higher-spec X4s make more sense on the used market, as they come with more desirable toys and protect their value better, so go for a 2.0-litre diesel M Sport and you’ll end up with a distinctive, likeable SUV.